Disney Channel’s Fish Hooks won’t see a fourth season says one of the show’s directors. An animated series, Fish Hooks follows the young fish Milo, his shy brother Oscar, and their “overly dramatic” friend Bea Goldfishberg. The voice cast includes Kyle Massey, Chelsea Kane, and Justin Roiland and the show has been airing on Disney since September 2010. What do you think? Do you like the Fish Hooks series? Are you sorry to hear that it’s ending? 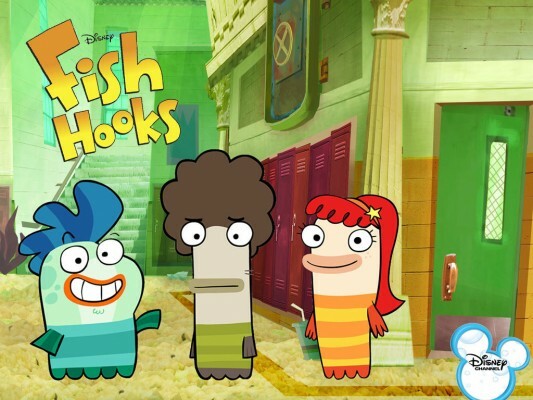 More about: Fish Hooks, Fish Hooks: canceled or renewed? I loved the show Fish Hooks and I was sad that it left. This was one of my favorite cartoons I really miss this show please bring it back!!! !